Hello my lovelies. Hope you are having a great weekend. I want to thank those of you who linked up to Photo Art Friday this week. 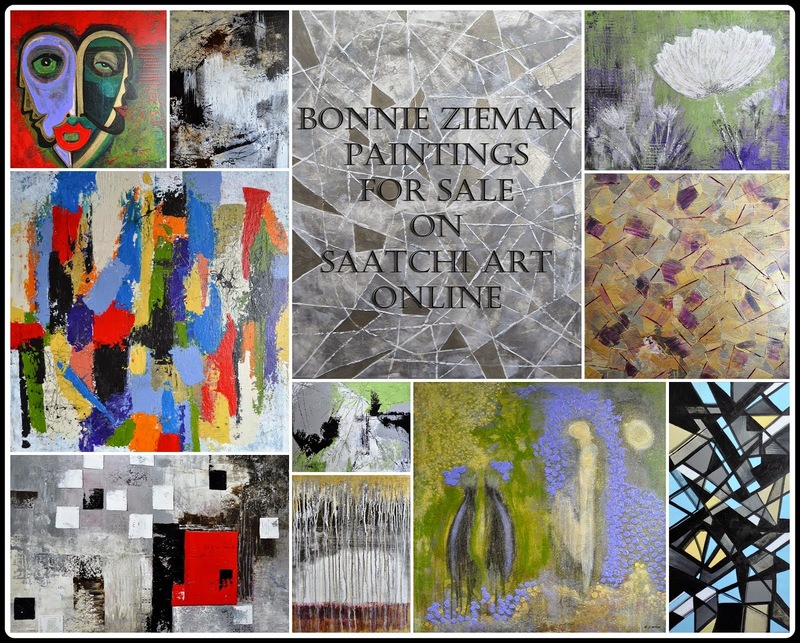 What wonderful work you are creating and sharing here! Thank you. 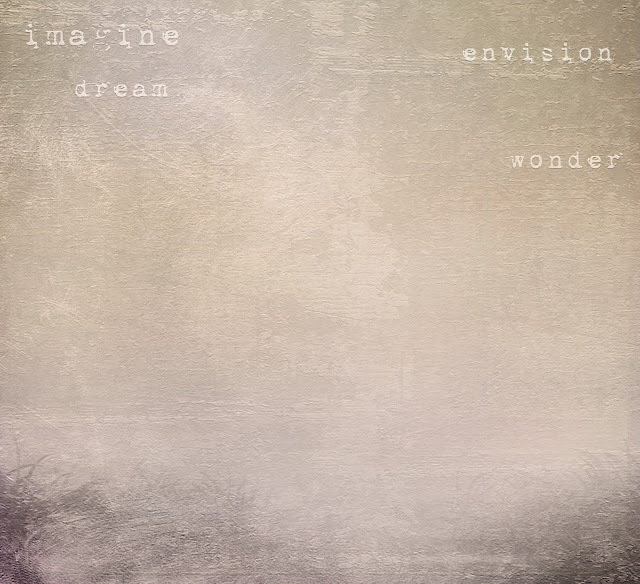 Have a sweet texture for you this week called "DreamWonder". 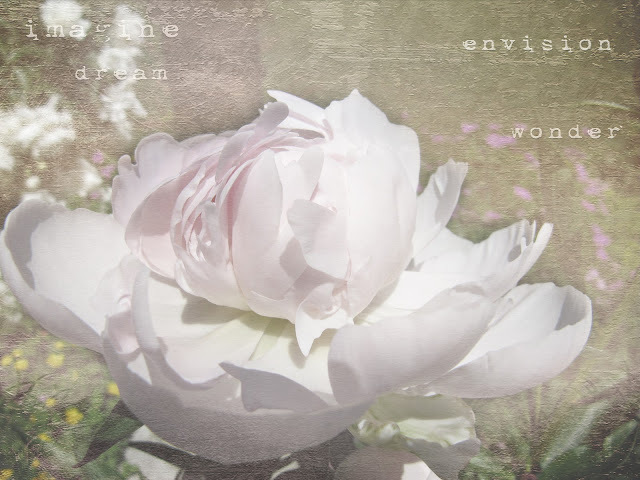 The image of the peony below has been treated with this texture. Since one of the options for next week's PAF is to showcase a piece of photo art on which you have applied one of my textures and used a Layer Mask to remove parts of the texture where you do not want it on your photograph, thought I would use my application of this new texture on my peony to illustrate how I employed a Layer Mask in this piece of work. Here is the final image after the application of DreamWonder and other edits. Here is the texture applied to the photo and blended in Hard Light at 100% Opacity. I actually quite like it just as it is, but let's see what it looks like if I use a Layer Mask to remove most of the texture from the petals. On the right in the Layers Panel, you can see the white rectangle beside the thumbnail of the texture. This indicates that I have added a Layer Mask. 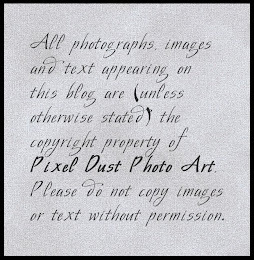 I use The Coffee Shop Blog's Layer Mask Action. 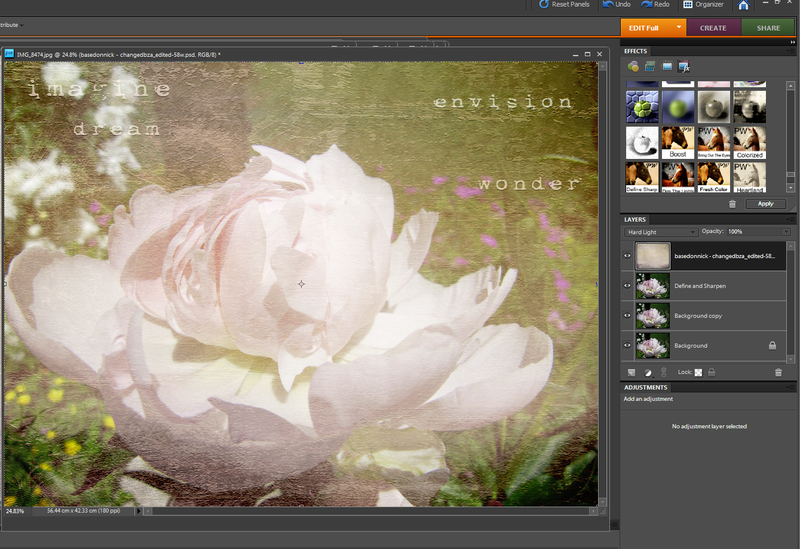 The white thumbnail will show the adjustments I make to the texture now on my photograph. Looking at what I have done, it seems to me that too much texture has been removed (concealed). I will add some of the texture back (reveal), again using the Layer Mask. * if I leave black as the foreground color and start to stroke on the peony again, more texture will be removed (concealed). that is not what I want. * since I don't want to add back all of the texture I just removed, I go up to the top panel and lower the opacity of the soft, white brush down to 15%. this way a small degree of the texture will be added back (revealed) with each stroke. * on the Layer Mask thumbnail in the right Layers panel, you can see the dark strokes from the use of the black brush are being lightened by the use of the white brush. this means some of the texture removed (concealed) with the black brush has now been added back (revealed) by the white brush. I like the small amount of texture brought back to the peony, but the whole image a bit too intense. Intensity of color can be changed by lowering the saturation and the lightness. To lower the saturation, in the right panel, I click on the round Adjustment icon and select Hue/Saturation. I lower both the Saturation slider and the Lightness slider to get the soft, desaturated look desired. Eh voila, done! 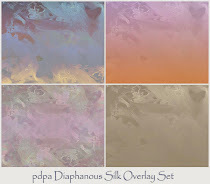 For your free download of pdpa DreamWonder texture, click HERE. So good luck my lovelies! There is so much more to know and do with a Layer Mask, but hopefully the above information, along with previous tutorials you have read or watched, will help you. 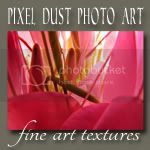 If you still feel you need more practice with Layer Masks before you showcase a piece of photo art where you have used one, feel free to post any piece of photo art you choose next week. It would be nice, however, if you would tell us a bit about how your effort at using them went - perhaps articulating any questions you may have. Some of those with more experience may be able to provide the answer you need. Oh Bonnie this is just great!!! Just what i needed, so tomorrow , this is my project. Cant wait, in fact, would be so easy to just stay up all night and try this out, but.... tomorrow is another day! Thank you so much also for the great texture to try this out on. Already downloaded and ready to go in the morning! Gorgeous!! Love the pic and the layering! And the tutorial is fabulous. I like the post-processing very much. I'm practicing but not quite getting this yet. I appreciate your explanations and the textures you offer us. What a beautiful image, and wonderful tutorial Bonnie! I just know that this will be so useful to many for this weeks Photo Art Friday. Thank you for posting it here, and for being so kind in sharing it with us at The Creative Exchange. I thought I'd share another tutorial on creating a layer mask in PSE 8 that I saw on YouTube. Creating a layer mask in PSE 8.